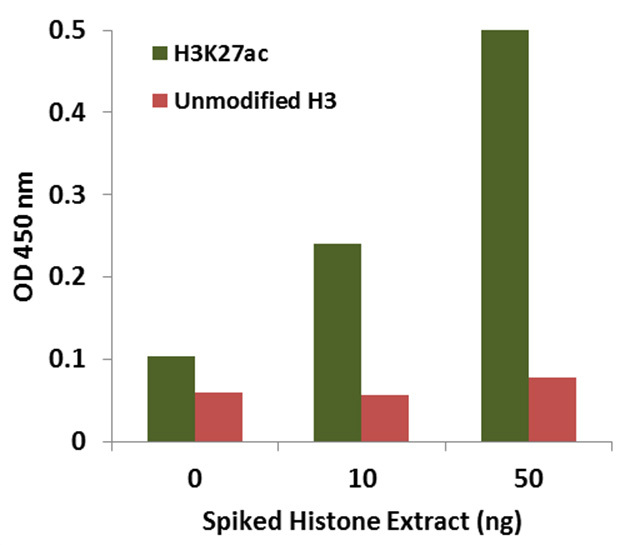 Western blot analysis of extracts from Hela cells, untreated (-) or treated with TSA (1μM, 18 hr; +), at a 1:2000 dilution using the Histone H2AK9ac (Acetyl H2AK9) Polyclonal Antibody. Earn up to 462 reward points for this purchase! Histone H2A is one of the five main histone proteins involved in the structure of chromatin in eukaryotic cells. Core component of nucleosome. Nucleosomes wrap and compact DNA into chromatin, limiting DNA accessibility to the cellular machineries which require DNA as a template. 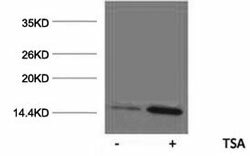 Histone H2AK9ac (Acetyl H2AK9) Polyclonal Antibody. Raised in: Rabbit. 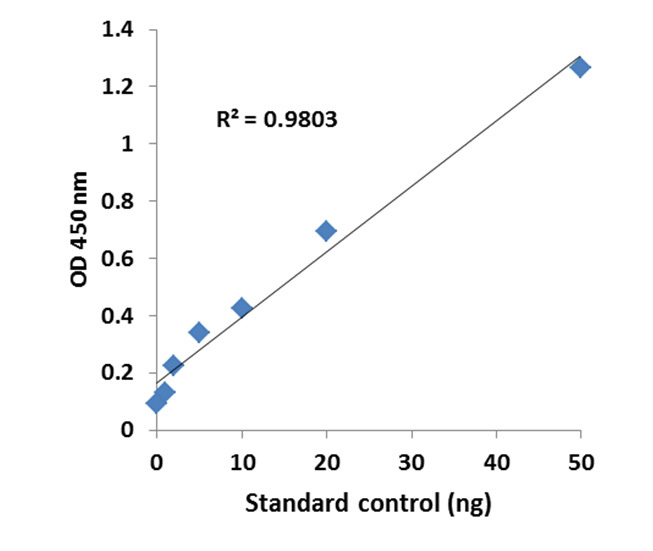 Rabbit Antiserum with 0.02% sodium azide and 50% glycerol.